At Strathcom Media, we’ve built our business around taking cluttered and poor performing websites and transforming them into lead-generating machines. We’ve seen it all over the years, from the lowly, to the hysterical, to the ugh. We’ve also seen some of the best sites the web has to offer. So how have we organized our collective insights and skills to help you hone yours? 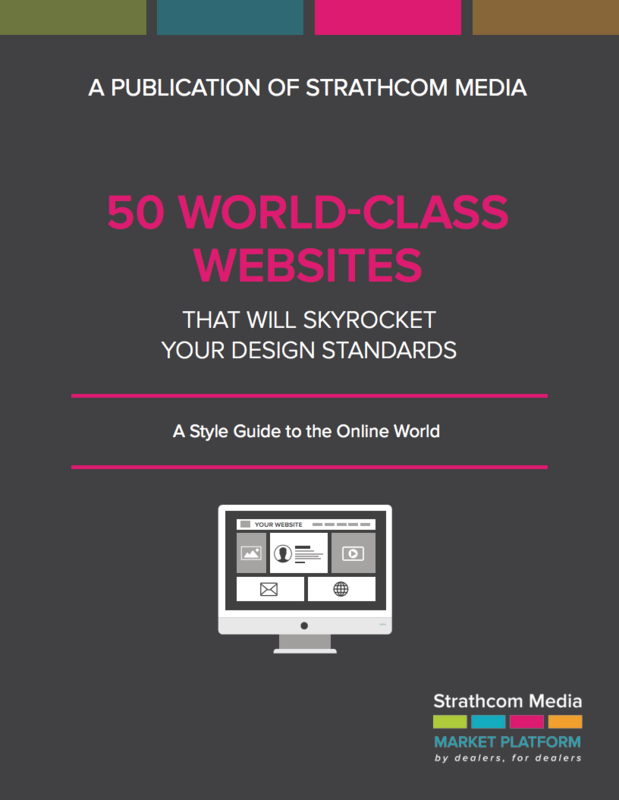 We’ve distilled our years of expertise into a new ebook — 50 World-Class Websites That Will Skyrocket Your Design Standards: A Style Guide to the Online World! Like training your palette with a taster menu, our latest ebook will help you improve your eye for web design. All that’s missing are a wooden serving paddle and a hipster waiter. So take a look at the elite 50 websites we’ve singled out from 21 different industries, and begin to nurture an appreciation for the finer things that web design has to offer. 2014 Western Canadian Dealer Summit: Al Awadia's "A Car Buyer's Journey"